This home office provides a creative space for multiple people to work. The white furnishings and soft wall color act as a neutral backdrop for the color pops that come from the supplies, accessories, and art work. I love the abundance of work surfaces in this space. 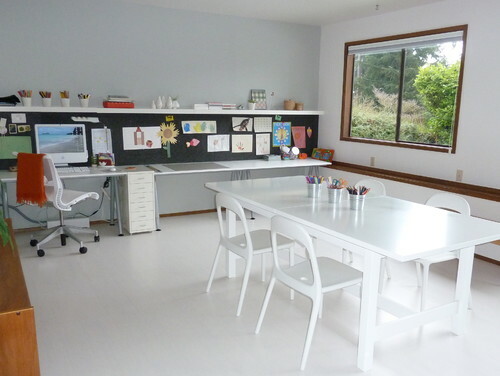 The desks along the wall provide ample space for multiple people to work, while the large table in the center of the room provides a great space for kids to gather, draw, and get creative! 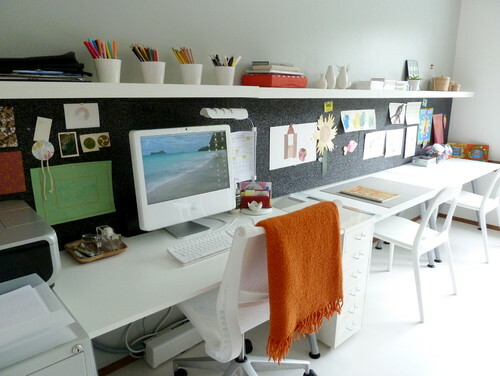 I especially love the use of floating shelves above the work space along the wall. It's great for storage and provides a place to display any accessories, or items you don't want within easy reach of the kids. 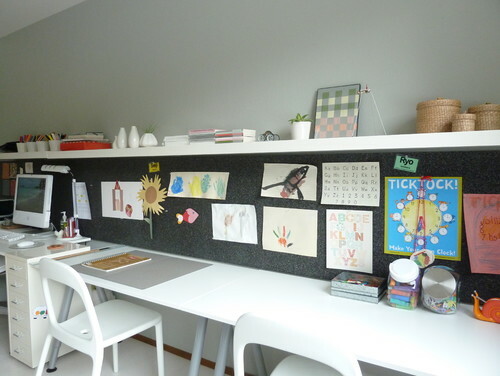 The painted cork or foam boards below the shelves also provide the perfect spot to hang any paperwork. 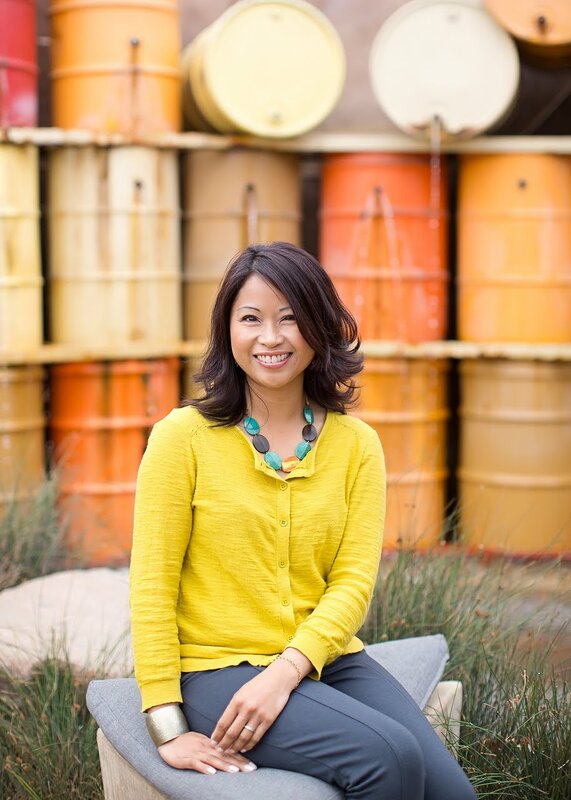 I love the dark, bold contrast color! Although this home office is much larger than most, it is serving as great inspiration for the design of our own home office - which I am currently sprucing up! Have an enjoyable first weekend of October. Special wishes to my one and only niece, Kalea, for a Happy 11th Birthday!! !